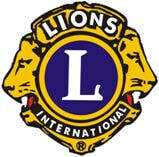 Rockford Lions accepts donations of used eyeglasses and hearing aids. Mail to P.O. Box at bottom of this page, or use the contact form to request a drop-off location. Click the button below to make a monetary donation. 100% of all donations go directly to the non-profits we support. Click to go to the Lions International home page.